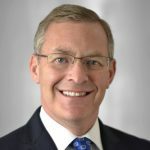 Bruce Harrison is an accomplished health care executive dedicated to leading strategic development and growth for health systems and physician organizations. He currently serves as President, Silicon Valley Medical Development, affiliated with El Camino Hospital. He has served in prior senior leadership roles at Optum/United Heath Group, Stanford Health Care and WellStar Health System. While at Stanford, he built University HealthCare Alliance and led Stanford Health Care’s expansion across the Bay Area.